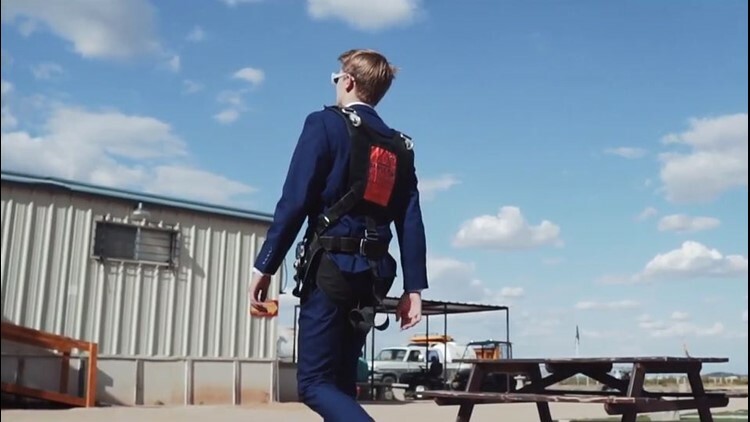 In an effort to face his fears before asking a classmate to prom, an Arcadia High School senior jumped out of a plane. Phoenix teens are holding nothing back in their 2019 promposals. Arcadia High School's Dash McDonald is going to prom with Ellie Treon after another grand gesture. In his promposal video, Dash shares other famous promposals and then lays out his own plan: he needs to face his fear then ask. Dash faces his fear head-on by jumping out of a plane at Phoenix Skydive. He then gathers the courage to ask Ellie, who agrees to go to prom with him. "Promposals are fun. It's about making someone feel special," Dash told 12 News. It was Dash's first time skydiving. 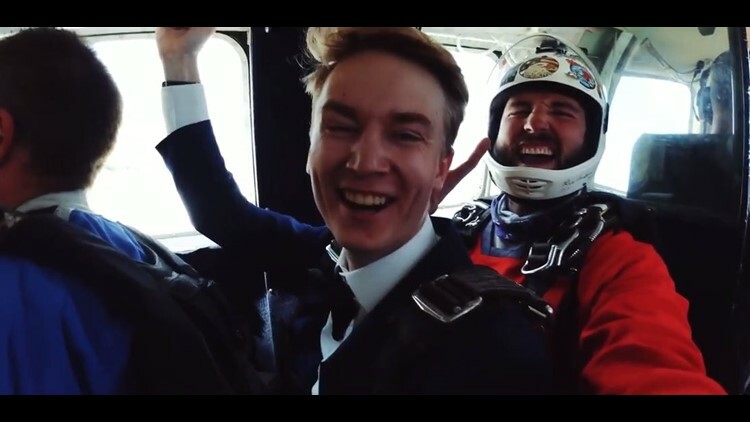 The instructors let him wear his prom suit instead of the typical flight suit, but warned him that the air would be cold. "It was incredible," Dash said. "The first step out of the plane was surreal." Dash said he was the first person to ask and be allowed to wear a suit for skydiving at Phoenix Skydive. "It's all about the joy of asking and I'm really excited for prom," Dash said.